The Norfolk County OPP sponsored five local families in the community this Christmas with toys and gift cards. 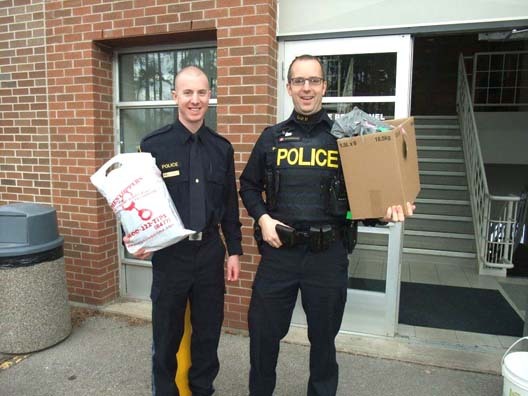 Shown in the photo helping to load the sleigh are constables J. Wardell and W. Kuivenhoven. A special thank you to constable Patti Cote for organizing everything to make this sponsorship happen. Thank you to all for your kindness and generosity.